‘Fisayo Soyombo, Editor of the International Centre for Investigative Reporting (ICIR), is one 10 journalists short-listed for the 2017 edition of the prestigious Wole Soyinka Award for Investigative Reporting. Soyombo, former Editor of TheCable and two-time winner of the award, claimed the overall prize last year with Forgotten Soldiers, a hard-won exploration of what it means for a soldier to suffer life-threatening injuries while defending his country’s territorial and existential integrity, and then watch helplessly as he is ignored and forgotten by the army, government and people he defended. The contest allows journalists to win a maximum of three times, after which they become ineligible to apply. Also included in the 2017 shortlist are: Ayodele Ojo of Daily Sun, Adekunle Yusuf of The Nation, Kemi Busari of Premium Times, Ebere Ndukwu of Ripples, Ayodele Adeniran of The Guardian, Kolawole Aliu of Leadership, Chinwe Agbeze of Business Day, Ujorha Tadaferua of Daily Trust and Mojeed Alabi of New Telegraph. Also, Obiageli Ezekwesili, former minister of education, and Edetaen Ojo, executive director of the Media Rights Agenda, will receive the anti-corruption defender award and lifetime award for journalistic excellence respectively. “Ezekwesili is to be recognised for her untiring efforts to promote transparency and accountability as well as her unstinting commitment to the values of justice within and outside Nigeria,” Motunrayo Alaka, Coordinator of the Wole Soyinka Centre for Investigative Journalism (WSCIJ), said in a statement. Ojo’s recognition, on the other hand, will be as a result of his efforts to “enshrine freedom of expression, including his dogged trailblazing effort at ensuring the passage and implementation of the Freedom of Information Act in Nigeria”. 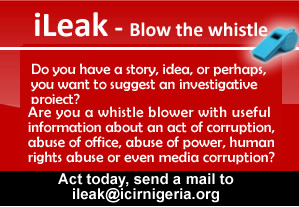 The award ceremony will hold in Lagos on its customary date, December 9, the World Anti-Corruption Day. According to Alaka, this year’s edition of the award has six categories – print, online, television, radio, photo, and editorial cartoon, as well a special prize for Food Security and Agriculture. Before winning the overall prize in 2016, Soyombo was first named second runner-up in the Online category, for his story, UNDERCOVER INVESTIGATION: Nigeria’s ‘Customs of corruption, bribery and forgery’. Moments later, he then won the first prize in the same category, for Forgotten Soldiers, which then went on to clinch the overall prize. Also in 2016, Soyombo won the Maritime Economy category of the Zimeo Excellence in Journalism Awards organised by the African Media Initiative, in Nairobi, Kenya, for the same undercover investigation on the Customs. Four days earlier, he had been second runner-up in the Investigative Journalist of the Year category of the 25th Diamond Awards for Media Excellence (DAME) — again for the same Customs investigation. In November 2016, he won the Newcomer of the Year — Hans Verploeg Award at the 2016 Free Press awards, which held in The Hague, Netherlands — an award he dedicated to Enenche Akogwu, the Channels TV journalist killed by Boko Haram in 2012. That award came a month after he was named Journalist of the Year (Business and Economy Reporting) in the PricewaterhouseCoopers Awards, and three months after his short-listing for the 2016 Kurt Schork Awards in International Journalism. Soyombo, a 2013 recipient of the Deutsche Welle/Orange Magazine Global Fellowship for Young Journalists, contributes opinions to Doha, Qatar-headquartered Al Jazeera and Germany-based TAZ. A finalist for the 2015 Thomson Foundation Young Journalist from the Developing World FPA Award, his works have been translated into French, German and Arabic.